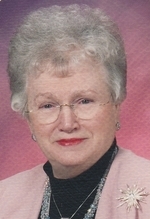 Minnie Ashmore Obituary - Gardner, Kansas | Bruce Funeral Home, Inc. The Memorial Candle Program has been designed to help offset the costs associated with the hosting this Tribute Website in perpetuity. Through the lighting of a memorial candle, your thoughtful gesture will be recorded in the Book of Memories and the proceeds will go directly towards helping ensure that the family and friends of Minnie Ashmore can continue to memorialize, re-visit, interact with each other and enhance this tribute for future generations. Minnie was born on July 26th of 1933 to Amos Eugene Sr. and Lois Marguerite (Gray) Stewart in rural Monroe County, IA. She was named after both of her grandmothers and was the fifth child of what would become eight. Being born in the depression would shape many of Minnie’s character traits. She was a farmer’s daughter and had strong and extreme work ethics. She worked with cattle, pigs, chickens and horses while helping to bake for the men on the farm and then would take her turn in the field helping to produce various crops. She could handle any form of machinery, cook, can and was an excellent seamstress. In her youth, she was involved with 4-H and Grange and was athletic and extremely competitive. Minnie loved horseback riding, riding bikes and playing softball, volleyball and badminton. She rode horses or walked to attend a rural country school in her early years and graduated from Albia High School in 1950 at the age of 16. She excelled in technical subjects and had a fondness for mathematics and astronomy. She went straight from high school to Tarkio College in Tarkio, MO graduating on May 25, 1954. Minnie was a member of many campus groups and served on the cheerleading squad for the college. She met a fellow squad leader that teased her unmercifully and had a twinkle in his pretty blue eyes. This blued eyed football player turned squad cheerleader won her heart and she married Charles (Chuck) Ashmore at Tarkio College on May 26, 1955. Minnie’s started her teaching career immediately following college and helped put her husband, Chuck who was called to preach by God, through seminary school. 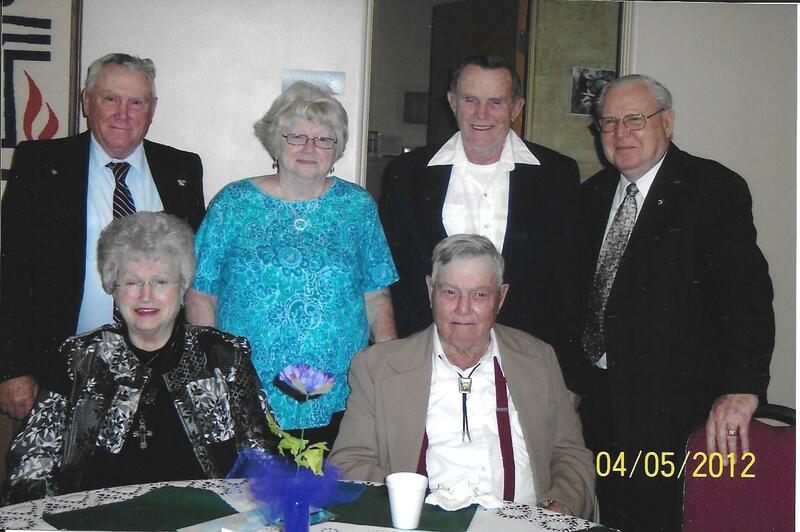 They would start their ministry in Emporia, KS (Americus) in 1955 and then would answer God’s call to move to Mission Creek, NE to serve two churches. In 1959, Minnie gave birth to Karen Michelle and then in 1963 had another daughter Sheryl Lynne. In 1964, Chuck and Minnie would again answer God’s call and moved to Gardner, KS to begin their ministry at the First Presbyterian Church. Shortly after arriving in Gardner, Minnie and Chuck would add a third child to their family, Stephen Andrew. Minnie and Chuck decided to make Gardner their home. Minnie was involved with numerous committees including the Athena Club where she served as President for several terms. She was in the choir until her late 70’s and taught Bible school, Sunday school, and enjoyed membership in the quilting bee. You could occasionally find her earning fun money while working in Hoch’s Dairy Freeze. She was a substitute teacher until she took a full time teaching position at Nike Junior High. She taught 7th grade math for 3 years and then returned to substitute teaching. She continued teaching until age 62 and even then continued to enjoy tutoring students in math. During her retirement, she remained active in the Athena Club, attended two different Bible studies and became very involved with the Senior Center. She loved to play cards and dominos. Minnie was well-known for the Friday night lady’s group and would often be seen in her red Lincoln. She made terrific cinnamon rolls and chocolate chip cookies for her neighborhood. She loved music and played the piano well. Minnie had a very quiet sense of humor and was an extremely devoted wife and mother. Her grandchildren and great grandchildren were the “apple of her eye”. Minnie will be greatly missed even though heaven shines a little brighter. She was an outstanding care giver and lost the love of her life to colon cancer in October of 1990. She herself would survive breast cancer and five reconstructions due to skin cancer. She moved in with her daughter Karen in 2016 and was diagnosed with terminal colon cancer later that same year. Minnie is survived by her children: Karen (Ken) Butler of Spring Hill, KS, Sheryl (Calvin) Smith of Paola, KS and Stephen Ashmore of Wichita, KS, and by grandchildren: Talisha Slyter, Casey (Matt) Johnson, Stuart Slyter and great grandchildren Skyeler and Faith Johnson. She is survived by 3 siblings: Lois Ann (Jim) Rossie of Conway, AR, Henry (Jane) Stewart of Council Bluffs, IA and Ray (Kay) Stewart of Albia, IA and many nieces, nephews, cousins and friends. Minnie was preceded in death by her parents, Amos Eugene Stewart, Sr. and Lois; her husband, Charles Ashmore; 3 brothers: Eugene, Carl and Roland Stewart and sister, Phyllis Whitmarsh.